What is your church doing for Easter? 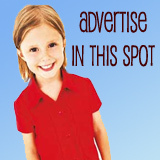 NorthEscambia.com will provide free promotion for churches in North Escambia or North Santa Rosa counties in Florida, or Atmore or Flomaton in Alabama. If your church is having a special Good Friday and/or Easter service, or any other special service or event, let us know! We will share your information with thousands of readers across the area. We will list the services on our Events page free of charge, and we’ll be publishing a special story by Good Friday. Please try to keep your announcement for our events page to 100 words or less. Send your announcement to news@northescambia.com or click here for our contact page. We will also be happy to publish photos after your event; email them to news@northescambia.com. Pictured top and below: A morning “Sonrise Service” at Pensacola’s Maritime Stadium. 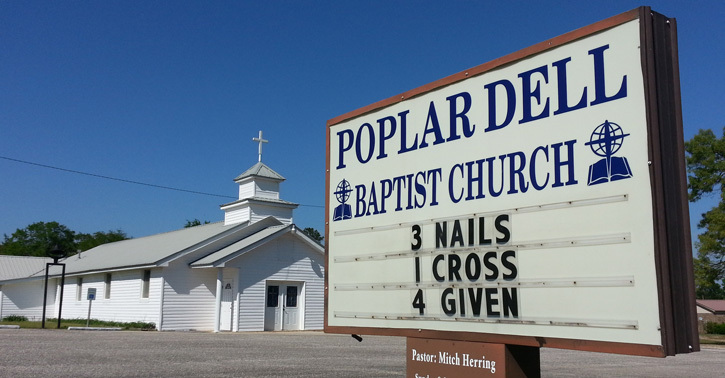 Pictured inset: A sign at Poplar Dell Baptist Church sums up the Easter story in simple terms. NorthEscambia.com file photos, click to enlarge. Osaka Free Will Baptist off of 113 on Wolf Log Road will have a sunrise service and breakfast at 6:15 AM. Come join us and stay for our morning service. Crossfaith Church is having a Night of Worship and Communion on Good Friday at 7pm that’s open to all. Saturday the 20th is Easter Celebration for kids from 9-12 with games and egg hunt. Sunday is our Resurrection Service at 10am. If you don’t have a church home, come celebrate with us. We would like to invite you to Highland Baptist Church for the annual Easter Egg Hunt and Family Devotion for children and families at 9:30am. Following the egg hunt we will enjoy a time of Easter worship at 10:45 am as we celebrate the Risen Savior. WE ARE THE CHURCH WITH THE JOY OF JESUS AND WELCOME ALL TO COME AND VISIT US!